Replacing a roof is something that most homeowners will have to do at some point. A quality roof offers protection against the elements, energy efficiency benefits, and more. Because the cost of a roof replacement can be expensive, you only want to replace it if you legitimately need a new roof. While repair work may suffice sometimes, here are a few signs that indicate you should replace your roof. When your roof is damaged or aged, it cannot provide the protection that your home needs. Rain, pests, and other damaging elements may easily enter your home. When damage is widespread, the roof may continue to deteriorate. This puts the home’s overall condition at risk. Because your roof is exposed to the elements, it is wise to often look for the signs that you need a new roof. The lifespan of your roof depends on the roofing material, weather conditions, how quickly you repair damage, and more. 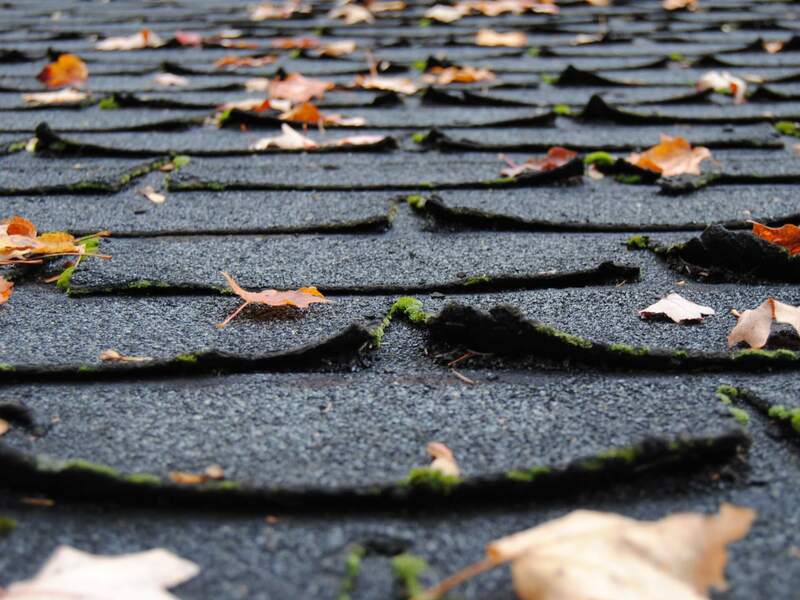 Typically, a well-maintained asphalt shingle roof will provide you around 20-30 years of use. If your roof is approaching this age, you should consult a roof inspector to determine when you may need a roof replacement. More expensive roofing materials last longer. You may notice signs of aging from the ground level. When you look up at your roof, the shingles should lay flat. Older shingles may be cupping, which means that the edges are curling upward. They may also be clawing, which means that the edges are curling downward. Both of these are signs that the shingles are no longer fully protective. A shingle or two may blow off of your roof during a strong windstorm. Missing shingles should be replaced as soon as possible to protect the overall integrity of the roof. When many shingles are missing all over the roof, this may be a sign that you need a new roof. Consider the age and the remaining life of the roof against the cost to replace or repair a roof with missing shingles. Granules on asphalt shingles keep the asphalt impenetrable. Granules begin to fall off as the shingles get older. You may notice granules near the downspouts for your gutter system or on the ground around the perimeter of your home. When the granules have fallen off of your shingles, the asphalt may deteriorate rapidly. Take action as soon as you notice granules on the ground, and you may be able to avoid unnecessary home damage. If you are questioning whether you need a new roof, it is best to order a professional inspection. Keeping your roof in good condition protects your entire home. Prime Home Inspections offers home inspection services to Western Washington State. Contact us to book an appointment.